Download Indian Polity Important Que Ans that was asked in Various SSC Exam. 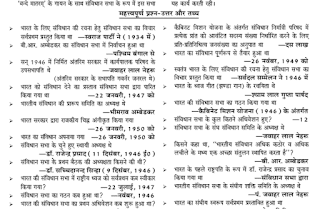 Download very important Indian Polity Ques with Answer from the last year SSC Ques Papers. A single pdf file is available for all these. And are available in Hindi Language. Candidate can download this from the link given below. Click on the link below to Download this PDF(Link Update).